Hannu Lintu has been appointed the eighth Chief Conductor of the Finnish Radio Symphony Orchestra. He will take up the role from the 2013/14 season, though will serve as principal guest conductor for the season beforehand. The contract is for three years, with an optional two-year extension. Hannu Lintu succeeds current incumbent Sakari Oramo, whose contract comes to an end in spring 2012 but who will continue a conducting relationship with the orchestra. 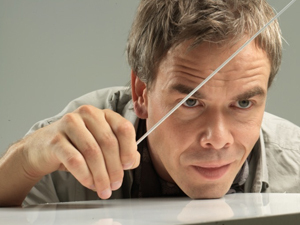 "I am thrilled that my many years of inspiring collaboration with the FRSO musicians will, under this agreement, continue in a natural way, and I am proud to be able to follow the great Finnish conductors who have contributed to the shaping of this magnificent orchestra," said Hannu Lintu. "Though the FRSO will be sharpening its profile even further on the international circuit, its core mission is to carry out the Finnish Broadcasting Company's role of safeguarding Finnish culture. It is the FRSO's job to be innovative and to keep its finger on the pulse of the times." Currently Artistic Director and Chief Conductor of the Tampere Philharmonic Orchestra and Principal Guest Conductor of the RTÉ National Symphony Orchestra, Lintu's forthcoming engagements include concerts with the Dresden Staatskapelle, Deutsches Symphonie-Orchester Berlin, City of Birmingham Symphony Orchestra, Cincinnati Symphony Orchestra and Toronto Symphony Orchestra. In addition to concerts at home as the orchestra of the Finnish Broadcasting Company, the FRSO regularly tours abroad. In 2009 they performed at Vienna's Konzerthaus and Frankfurt's Alte Oper as part of a European tour, and earlier this year they gave two concerts at the Edinburgh International Festival. From 2011 the orchestra will be based at the Helsinki Music Centre scheduled for completion in the spring. Previous FRSO Chief Conductors include Jukka-Pekka Saraste and Paavo Berglund. For more information, visit the website of the Finnish Radio Symphony Orchestra.